Modern physics tells us that we’re dreaming the world into being with every thought. Courageous Dreaming tells us how to dream our world with power and grace. The ancient shamans of the Americas understood that we’re not only creating our experience of the world, but are dreaming up the very nature of reality itself—that is, “life is but a dream.” When you don’t dream your life, you have to settle for the nightmare being dreamed by others. 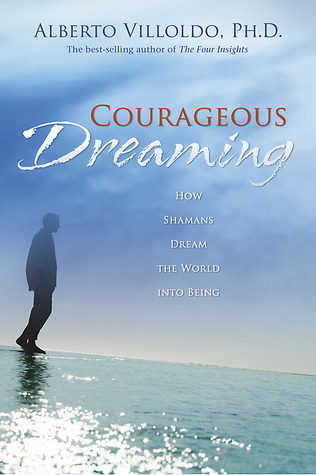 This book shows how to wake up from the collective nightmare and begin to dream a life of courage and grace, a sacred dream that shamans throughout time have known and served. Alberto Villoldo reveals ancient wisdom teachings that explain how to birth reality from the invisible matrix of creation; and reveals how we can interact with this matrix to dream a life of peace, health, and abundance. He shows us that courage is all that is required to create the joy we desire!